Peter Mattock has been teaching maths for over a decade. He is a specialist leader of education (SLE) and an accredited secondary maths professional development lead, who regularly presents at conferences across the country. 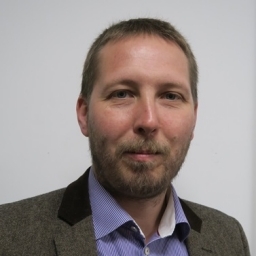 Peter also develops teaching for mastery in the secondary school classroom, having been part of the the first cohert of specialists training in mastery approaches by the National Centre for Excellence in the Teaching of Mathematics (NCETM). Peter Mattock’s Visible Maths: Using representations and structure to enhance mathematics teaching in schools supports teachers in their use of concrete and pictorial representations to illustrate key mathematical ideas and operations. Viewing the maths lesson as an opportunity for pupils to develop a deep understanding of mathematical concepts and relationships, rather than simply to follow fixed processes that lead to ‘the answer’, is increasingly recognised as the pinnacle of best practice in maths education.